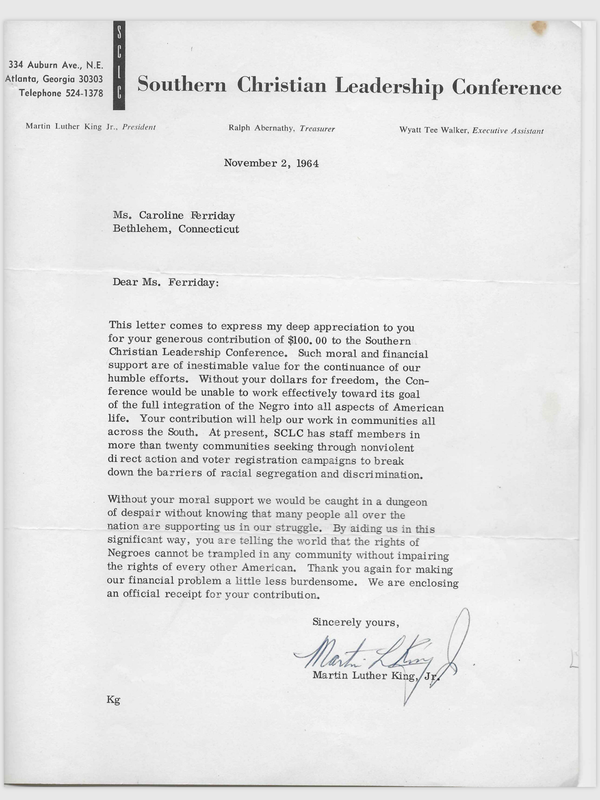 Caroline Ferriday’s Letter from Martin Luther King, Jr.
Caroline Ferriday’s archives are filled with interesting bits of history, but this is one of my favorites. 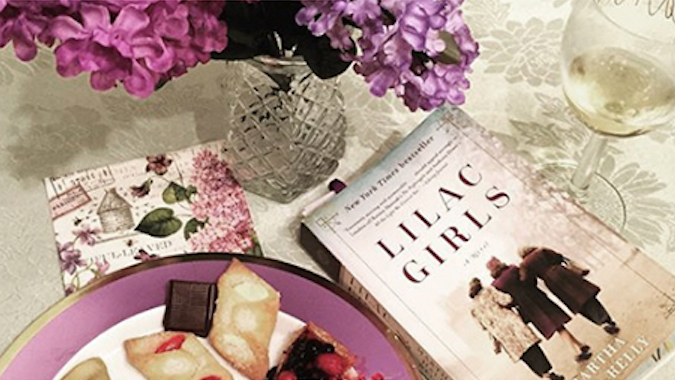 It may just be a standard thank you letter, but it’s beautifully written, heartfelt and sincere. I especially love the phrase “dungeon of despair,” and the fact it is addressed to Ms. Ferriday. And I love looking at that signature, too. Not written in some a computer-generated hand, but by Dr. King himself. As we celebrate Martin Luther King’s life this holiday it’s comforting and inspiring to revisit this connection between these two incredible people, however small. Thank you to Peg Shimer and Dorothy Ambruso of the Bellamy-Ferriday House and Gardens for making this letter available to me, two of the wonderful people at Connecticut Landmarks dedicated to keeping Caroline’s legacy alive.